What if the adventure chooses you? ELIZA was a computer program written by Joseph Weizenbaum of MIT between 1964 and 1966 that simulated a psychotherapy session. Type a question into the program, and ELIZA would create another question based upon the language in the original question. For example, if you wrote something along the lines of “My mother is making me angry,” the computer might respond with a question like “Tell me more about your mother.” Despite ELIZA’s simplicity, people using it tended to quickly get entranced by the opportunity to talk about themselves. Weizenbaum himself was deeply concerned that people were being fooled into thinking that the machine actually cared about them. Computers have gotten a lot more sophisticated since the 1960s. As a result, the kinds of conversations that they can carry out have gotten more sophisticated too. “The holy grail of learning is personalized or adaptive learning,” explained Anant Agarwal of edX in April 2015. “This form of learning is what you might experience from an excellent personal tutor who is able to tailor your individual experience. In many ways, adaptive learning can be compared with those old ‘Choose Your Own Adventure’ books. At each step in the learning process, the user is given multiple options that satisfy his or her level of comprehension, style or direction. They may all lead to the same place (mastery of the material). but the path can be very different and structured for a particular learner.” While Agarwal mentioned this in the context of edX’s MOOCs, there’s no reason that this technology has to be scaled to thousands of people at once. It would, at least in theory, work just as well with twenty students as it would with twenty thousand. Look at this situation from as administrator’s point of view. If they buy these expensive computer programs, where will they get the money to pay for them? At cash-strapped schools the inevitable justification will be because it can save labor costs. Computerized teachers, computerized scoring – these days computers will even tell students whether they’re on the most efficient path towards graduation, thereby eliminating the need for advisors. Sometimes it seems as if every aspect of modern universities that can be mechanized has been mechanized. Why would actual teaching be any different? Personalized learning, the pitch goes, allows professors to spend less time doing things that others can do better (like lecture), you can spend more time helping students learn. Unfortunately, like Lucy and Ethel in that chocolate factory back in the 1950s, it is easy for your employers to speed up your line by giving you more students – particularly if you work in an online setting where the size of the classroom is no longer a limiting factor. In this way, unbundling the professor’s job limits the contact between the student and their instructor. By limiting the contact between students and their instructor, unbundled classes have to focus on how much content a student remembers rather than the kinds of skills that they develop since testing for those skills requires more labor, not less. Anyone who really cares about teaching should consider that outcome a shame. When I worked at UC Berkeley (1987-2007), I tried to initiate a program that would see if it would be feasible to switch from the large lecture classroom to a small study group environment led by student tutors. My concern was that the large lecture depersonalized education, whereas the small face-to-face study group made learning an integral part of the student’s social life. Using small study groups to improve learning outcomes has a long tradition at Berkeley that goes all the way back to Uri Treisman’s work in the early 1980s. Also, the idea of using videos of lectures in small study groups has been around since the early 1970s; it’s called Tutored Video Instruction. John Seely Brown praised the TVI approach in his famous book The Social Life of Information. Here’s an extended excerpt. 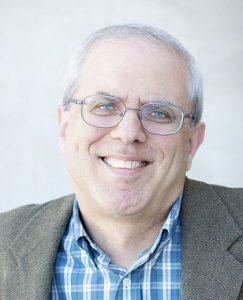 Although I had received NSF funding for the project, the cooperation from a non-tenured professor who wanted to experiment with TVI and two study group programs on campus – the Minority Engineering Program and the Professional Development Program – the project was halted by a senior member of the Berkeley faculty. The conservative professor who put an end to the program was OK with the idea of small study groups, but he was not OK with the idea of allowing the study group students to not attend live lectures. He wanted to preserve the practice of herding students into large lecture halls, which can seat hundreds of students. That’s a really interesting, complicated story. You can kind of see both sides if you look hard, but then by the time you get to the end you know doing nothing was probably the worst thing to do in the end. While I know this is kind of evasive, the philosophy that I’ve worked out in these matters is that all students deserve a caring, well-qualified living breathing teacher who can monitor their progress and help them through the inevitable roadblocks on the way to useful learning. I’m willing to consider any technological set up that meets those criteria as something I’d endorse or even practice myself, but the Devil is always in the details. then why do many schools, especially research universities, continue to routinely herd students into large lecture courses? At research universities, I suspect the answer is that research faculty would rather teach small graduate seminars that dovetail nicely with their research interests. That’s why community colleges with relatively modest budgets are able to afford smaller class sizes for basic introductory courses than is the case at the typical research university. The point I wanted to make to the faculty at Berkeley was as follows: if you insist on dehumanizing undergraduate education with large lecture courses, then we should at least be willing look at more humanized alternatives such as TVI with small study groups. Regardless of what we think students “deserve” a prioi, we should do controlled experiments to see how the learning outcomes of students in the TVI groups do relative to the students who attend a live lecture in one of our massive lecture halls. Unfortunately, the faculty I had to deal with at the time were unwilling to look at those alternatives and were unwilling to conduct these experiments. They were willing to use their authority as senior faculty to prevent the experiments from going forward. Even though they hold Enlightenment ideals when it comes to their own scientific research, when it comes to teaching methodology their management style is decidedly pre-Enlightenment.